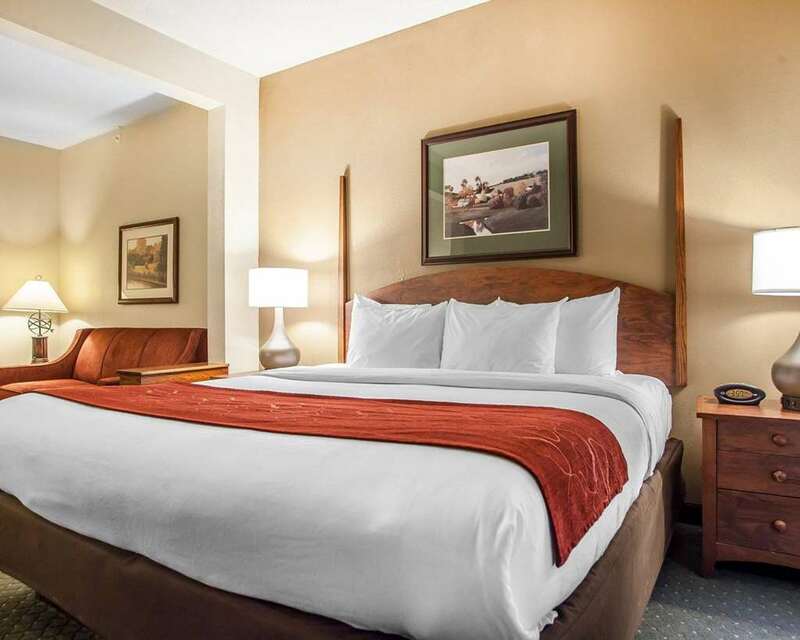 The Comfort Suites Milwaukee Airport hotel in Oak Creek, WI offers the extra space you need with the extras you want. We are near attractions like General Mitchell International Airport, Miller Park, Summerfest Grounds, Harley-Davidson Museum and Downtown Milwaukee. Enjoy our hotel lounge, Duffy's Pub, and amenities like free airport transportation, free WiFi, indoor pool with a hot tub, fitness center, meeting room and ballroom. Your spacious suite offers amenities like a deluxe a hot tub, microwave, refrigerator, separate living area with sofa sleeper, flat-screen TV, hair dryer, coffee maker, iron and ironing board. Also, earn rewards including free nights and gift cards with our Choice Privileges Rewards program. Room parties are NOT allowed and a maximum of 6 wristbands are provided per room. Valid credit card with matching ID is required at check-in. As of 01/27/15, pre-paid credit cards, pre-load or net spend credit cards are not accepted.